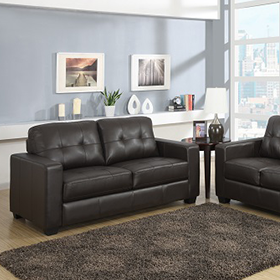 a luxury 3rr+2rr+rr fabric suite in black or grey. Novella translates as ‘just born’ and you’ll feel exactly like that when you sit on the luxurious fabric, generous armrests & cushioning that this range offers. The Novella Fabric 3RR+2RR+RR Sofa is available to order in black or dark grey(301) colours - please select your option from menu. The Novella fabric range is available to order as a three seat reclining sofa, a two seat reclining sofa, a reclining fabric armchair or a sectional corner sofa in any desired combination/quantity. Delivery of The Novella Fabric 3RR+2RR+RR Reclining Sofa Suite in 2-3 weeks.